To celebrate the launch of the Sugar Buttons Animals range on Create and Craft today we asked Design Team member Sarah Harris from the Cupcake Range to show you how she made one of her fab cakes! This first part shows you how to make the Rocky Road base of the bath tub, check back tomorrow for the decorating! Melt butter, chocolate and golden syrup over a gentle heat until smooth. Place all of the dry ingredients into a mixing bowl. 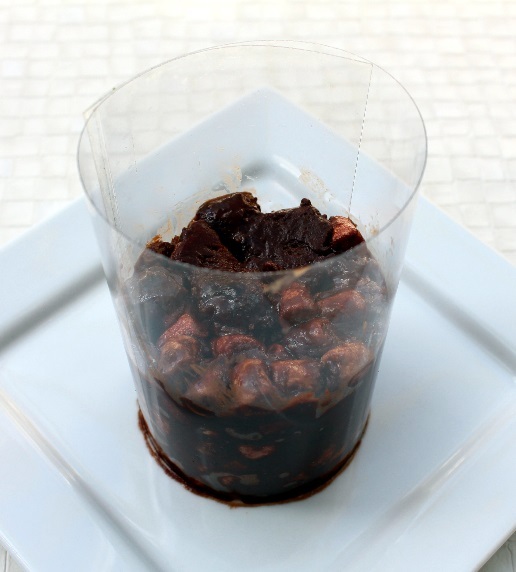 Pour the chocolate mixture into the dry ingredients and mix until well combined. If you don’t have a cake tin the right size for the bath tub, cut the A4 sheet of acetate in half length-ways and roll one half up to form a tube approximately 7cm wide and secure with sticky tape. Place the tube on top of a flat plate and press teaspoons of the mixture into the tube as shown in the photo, pack the mixture down well so it is level at the top. It should be about 4cm high. 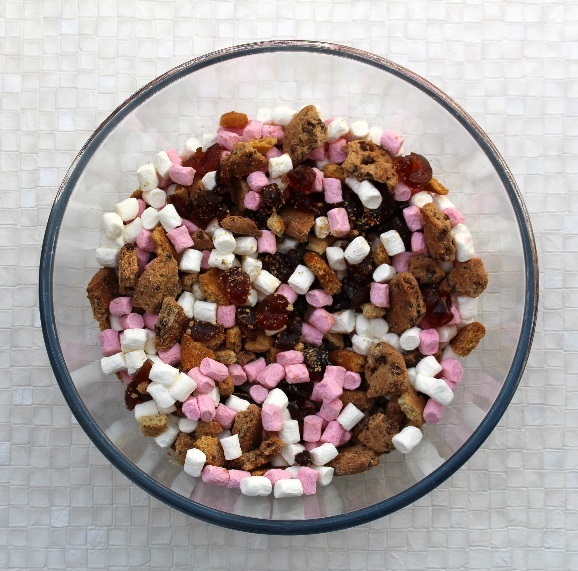 Tip the rest of the rocky road mixture into a lined baking tray, pressing it into the corners and making sure it is of an even thickness. Place both the tray and the tube of mixture in the fridge for a few hours until set. 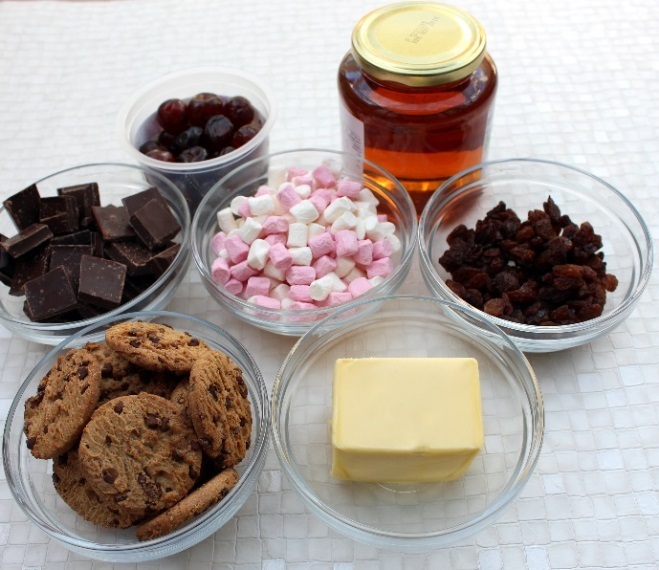 Dust the Rocky Road in the baking tray with icing sugar and cut into bars. Remove the acetate and turn the Rocky Road upside down so you have a nice smooth top. You are now ready to start making the elephant in the bath tub! Come back tomorrow to find out how!